Pablo cheese tart originated from Osaka Japan is finally here, no longer needs to travel all the way to Japan to taste the exactly same cheese tart! Although I never tasted it before, but I'm also excited like the rest of you! 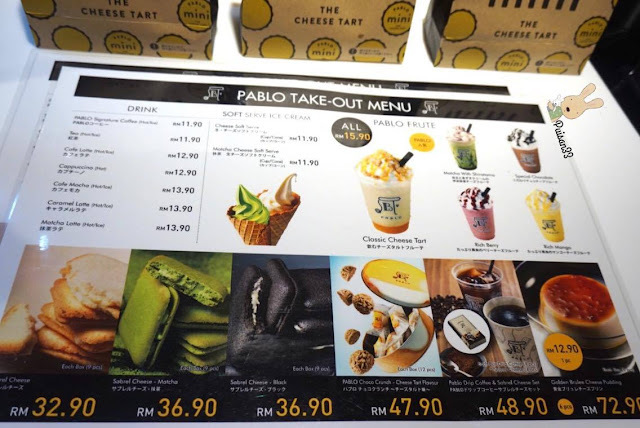 Do you notice that they are actually operating with an open-kitchen concept? 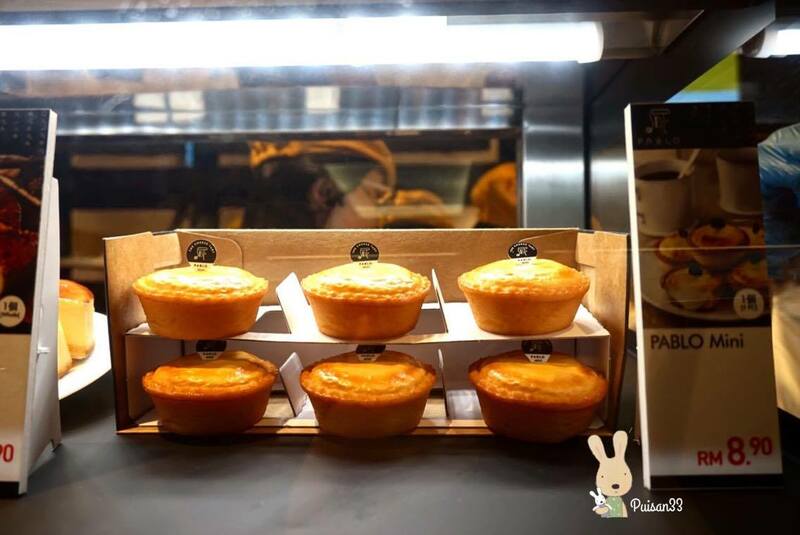 Which is to ensure that the specialty in serving freshly baked products and bring the customers to another level of experience! 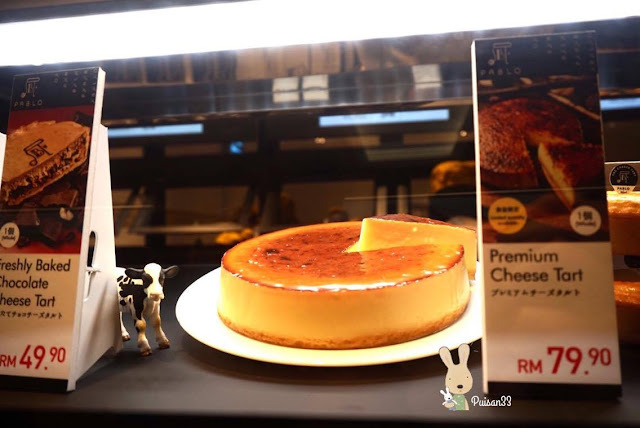 This is know to be their signature cheese tart come in the size of 6 inch! Cheesy and crunchy! Besides of the original flavor there is also Chocolate and Matcha (coming soon) as well with different prices. 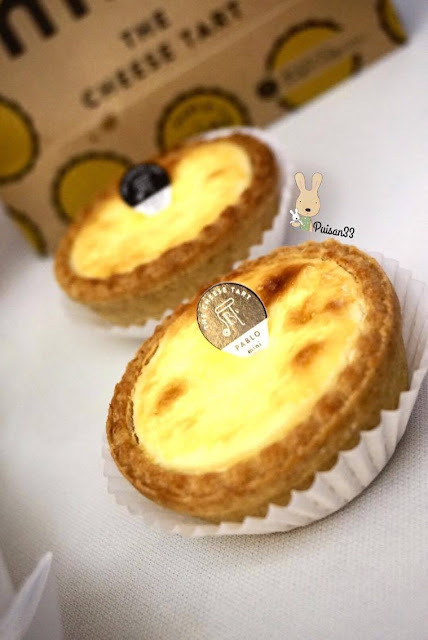 It taste comparatively different with the usual cheese tart that we used to eat, the cheesiness, crunchiness, smoothness and the softness of the tart which eventually melt inside our mouth. Especially the pastry! I was so tempted to eat the whole piece but sharing is caring! This size can be share up to 6 persons! 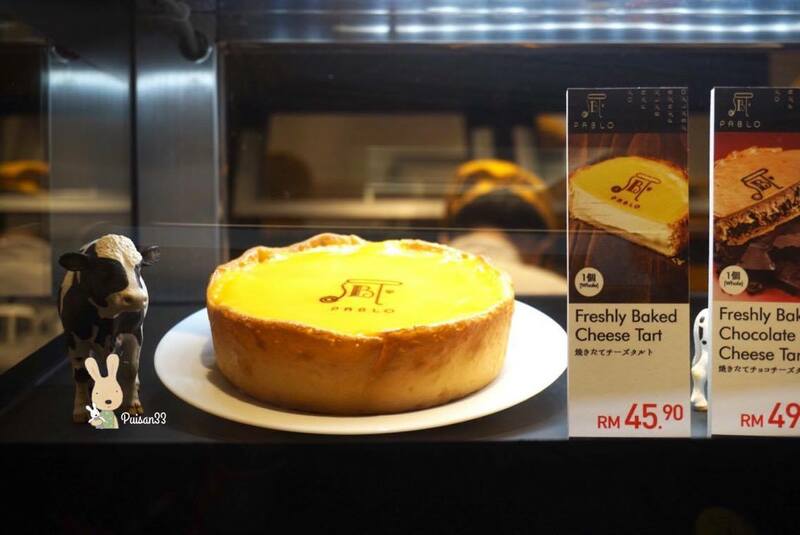 Take note: It can only be keep in the refrigerator for one day if not able to finish it! 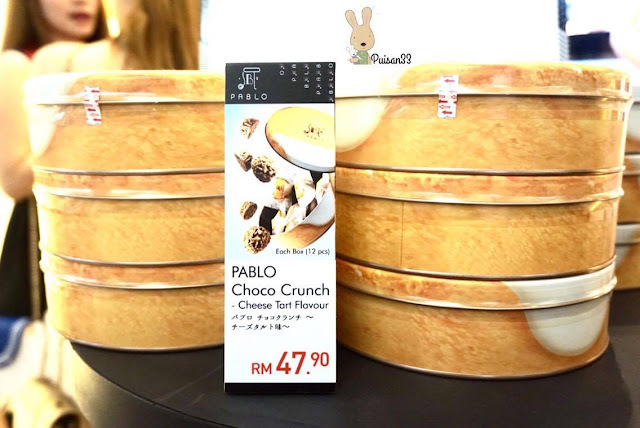 Does this look similar like that one that we can get from any bakery shop? but how come the price is so much different? Some may even curious and say that Pablo mini price equal to buying 3 pieces of the same mini tart from the bakery? 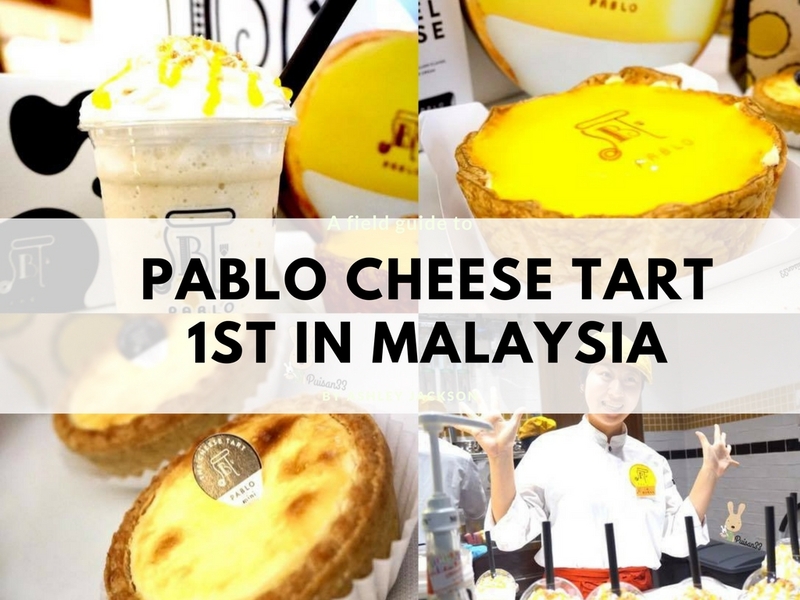 Ingredients that are used to bake all the Pablo tarts are all imported from Japan. A promise given by Pablo which is freshly baked daily is a guarantee from Pablo and most important it is Halal certified. 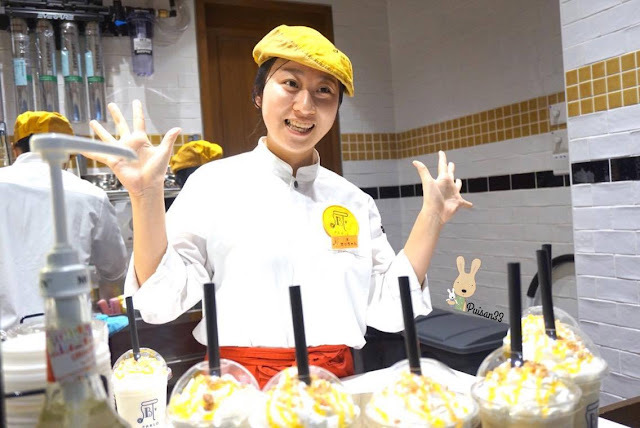 If you get to visit the shop, even though the shop was small but the workers are so MANY! This is to ensure that they produce a quality promised foods and beverages to serve every customers and of cause satisfy the taste bud of the customers! 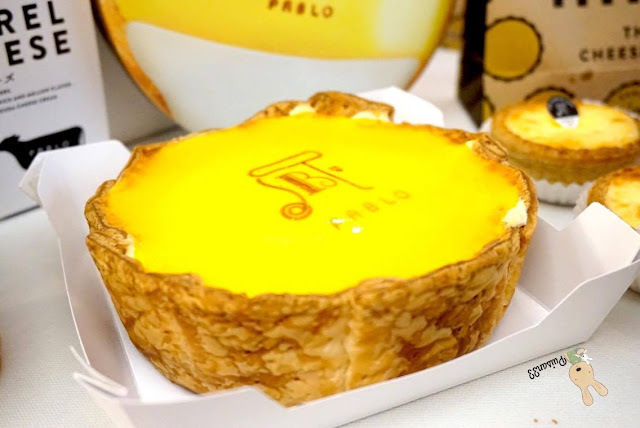 It tasted exactly same like the Pablo signature cheese tart is just that in a form of beverage. Ermm. what? Seriously? Yes. 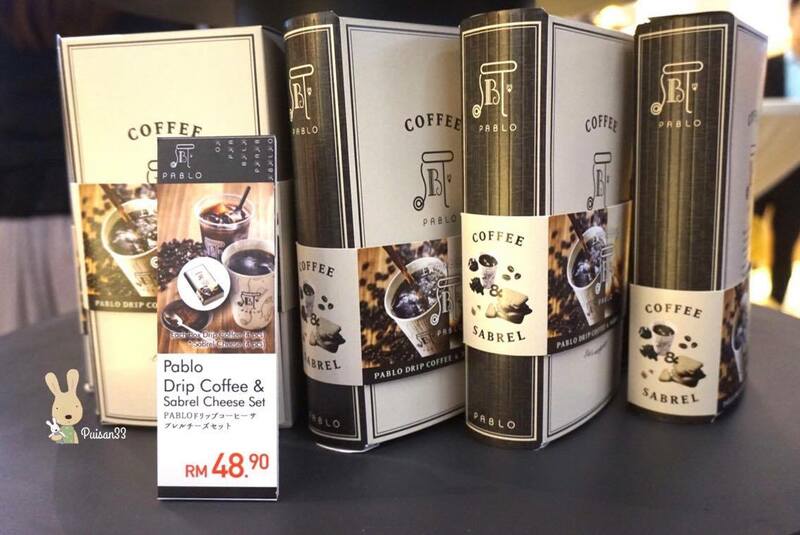 It doesn't taste weird but indeed it taste so so so good! Try it yourself! 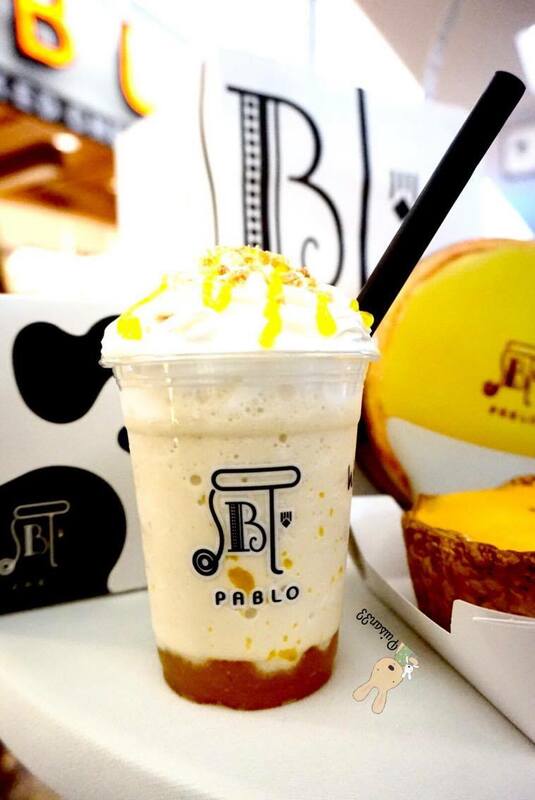 The bottom layer is actually apricot gel (not very sweet), at the top with some whipped cream and crunched pastries, so for your information you may drink it layer by layer! Pablo has the widest range of freshly-baked cheese tarts and pastries, cheese puddings, cookies, drinks and soft served ice-cream. 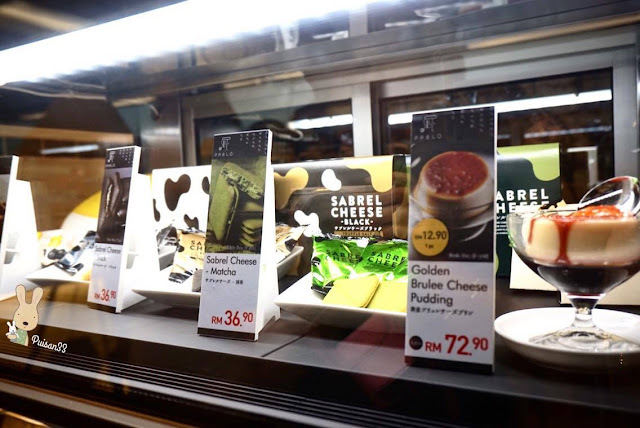 Aside of the signature original flavor there are also other flavors as well such as chocolate, strawberry, matcha and etc. The Sabrel Cheese comes with different flavors each boxes have 9 small packs! The cookies are rich blend of Parmesan cheese and gouda cheese cream filling! So yummy! 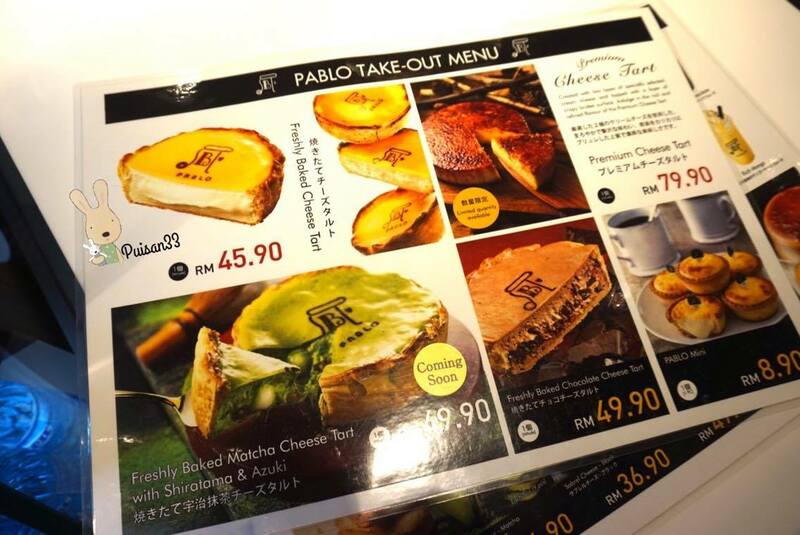 Attached the menu of Pablo Malaysia for your reference! 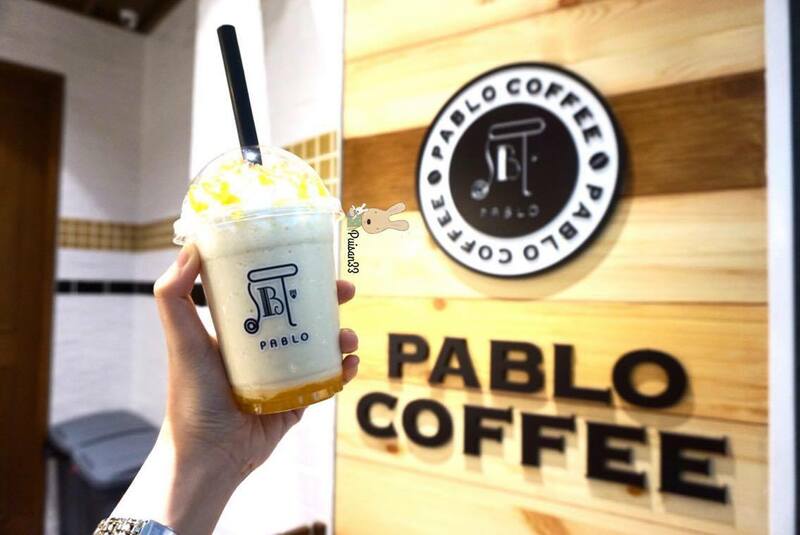 Follow Pablo Instagram account & Take a selfie infront of the Pablo store. 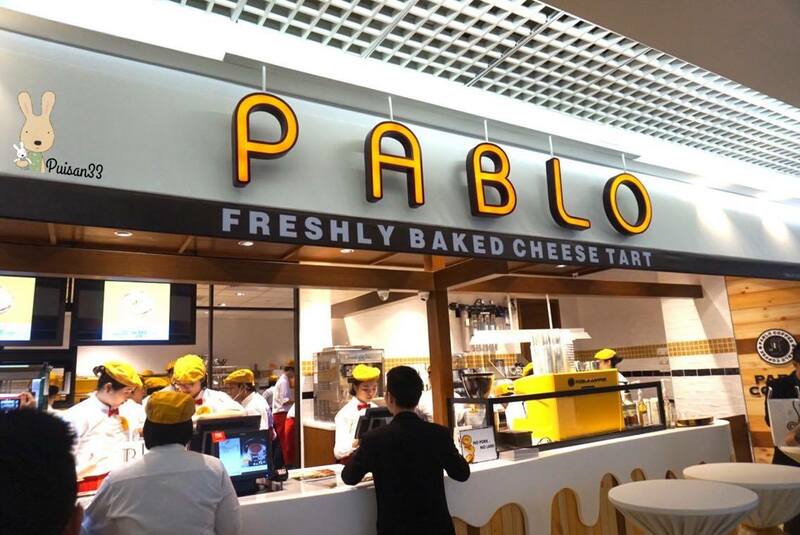 You now got your Pablo Cheese Tart!